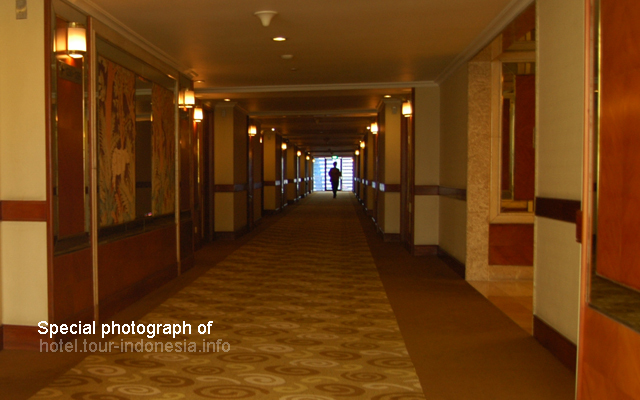 his spacious hotel area has won awards of Indonesia's Leading Green Hotel in 2012. The Sultan Hotel combines hospitality as a trademark of Indonesian people with luxurious service in one large complex international hotel site. This largest hotel in Indonesia and also preserved as one of the largest hotel site in south east Asia was equipped with a vast garden, a spacious garden as green area (arboretum) in the heart of the capital Jakarta. With the number of 694 rooms, nine banquet rooms, and a ballroom, and equipped with tennis courts, basketball courts, 500m jogging track, two swimming pools, fitness center, and a shopping arcade area for it's amenities. The Sultan Hotel is often used for music concerts, and a prime location close to a complex of office buildings, CBD and Bung Karno Stadium in Senayan, Jakarta, the Capitol of Indonsia, making this giant hotel is often used as a venue for national and international events such as sports, conferences, government gatherings and other large events. Price start from Rp. 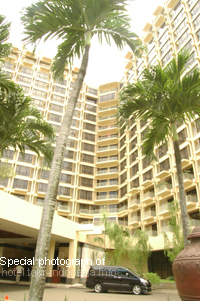 1.500.000, - Get a discount price of The Sultan Hotel Jakarta here.